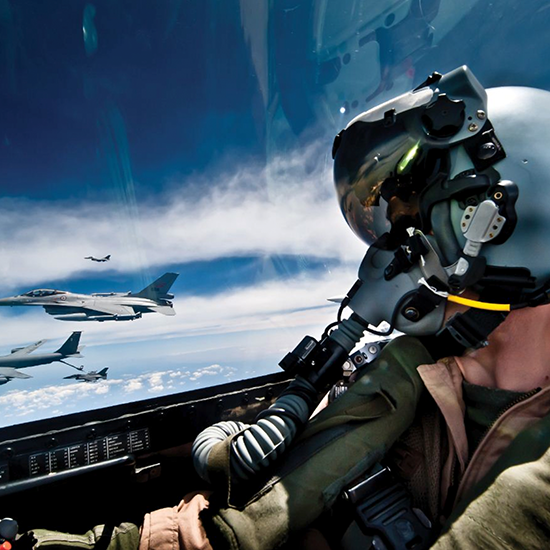 Elbit Systems of America’s provides high-definition, full-color, smart-visor capabilities to military pilots worldwide. Equipped with innovative head-tracking technologies, JHMCS systems allow pilots to aim sensors and weapons by their line of sight. Available upgrades also provide pilots this same capability during night operations. Our combat-proven cueing systems deliver immediate and accurate recognition of targets and provide accurate and reliable symbology of the air, ground, and sea in real-time, giving aircrew’s intelligent vision.